For slick city riding with hills and weather, the Carton 8 is great. 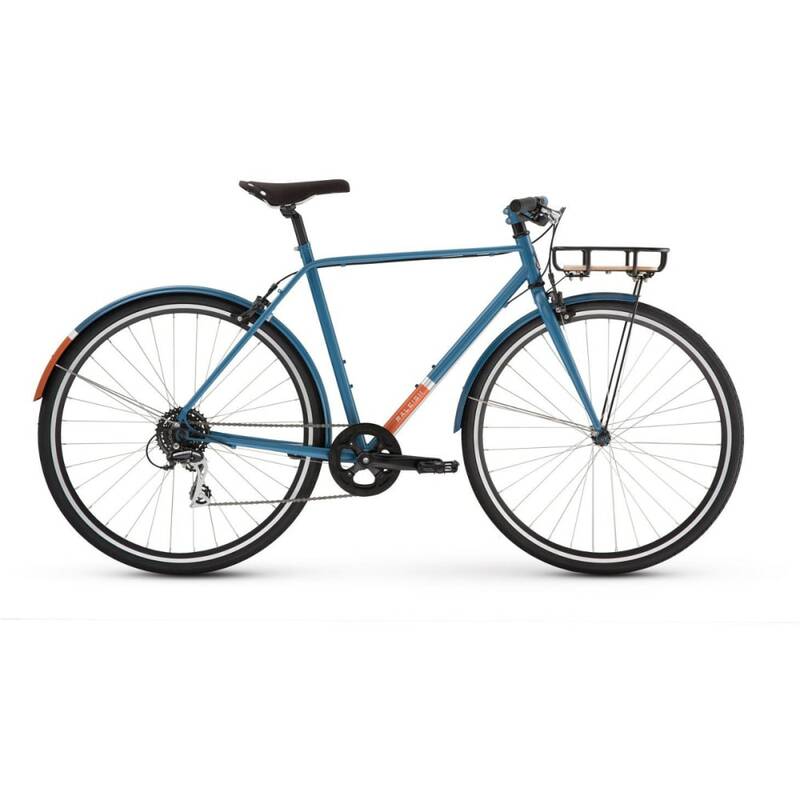 This 8-speed steel bike with fenders handles well and gets the job done in classic Raleigh style. 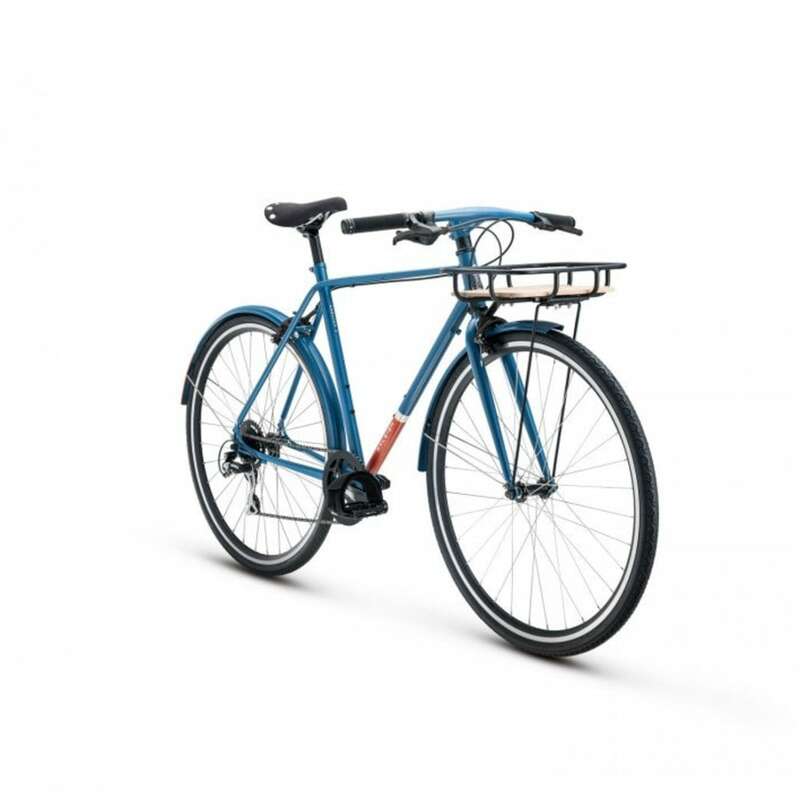 Whether you are riding up to the corner store for a gallon of milk or zipping down to work, the Carlton is ideal for casual urban trips, quick errands and commuting. 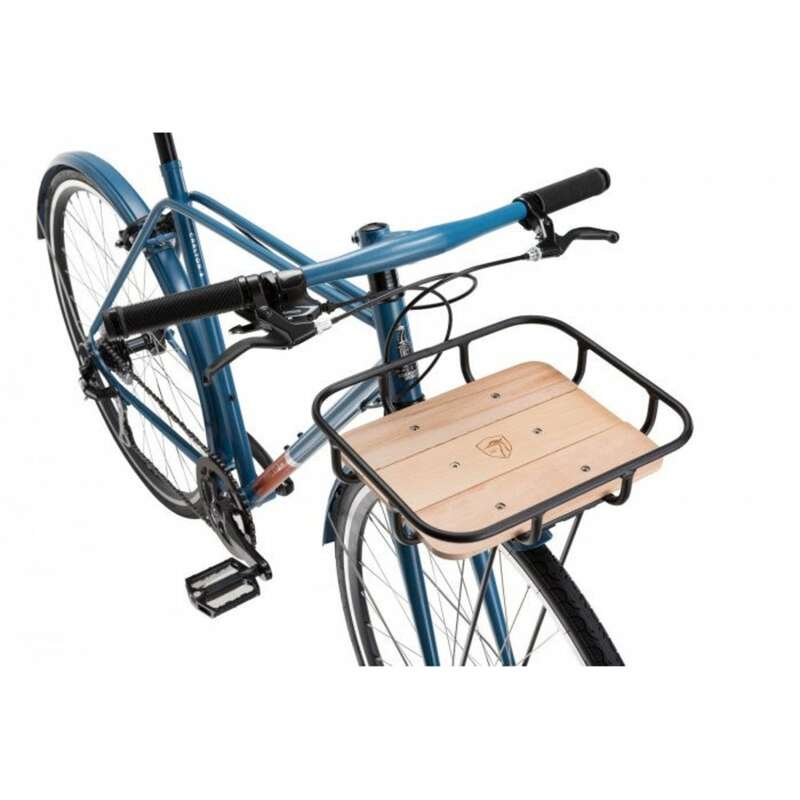 This city bike has a unique Raleigh silhouette with dual top tubes, a one piece integrated handlebar and stem for a clean look, a platform rack with classy wood inlay featuring a burnished Raleigh Heron insignia, and color matched fenders to help keep you clean and dry. The reflective decaling on the downtube adds visibility for riding at night or during early morning hours, and the bike bell lets peds and other riders know youâ€™re coming.